Strategically locating your facilities in relation to your suppliers, distribution centers, ports - and ultimately your customers - is a critical step to gaining control over ever-growing transportation costs. To assist you, Lee & Associates offers dedicated supply chain & logistics specialty practice group. Our approach is consultative. We begin with the successful formula your suppliers and customers have come to depend on. We build off of it by coordinating the myriad services that make it tick. From internal service analytics to developing rationales for your network of facilities, our seasoned supply chain consultants will benchmark your operation and develop critical productivity recommendations. These will allow you to keep a finger on the pulse of the activities that have a direct bearing on your bottom line. Information of this sort – real-time, relevant and current – will enable you to raise service levels and performance while lowering costs. Select an office to view team members. 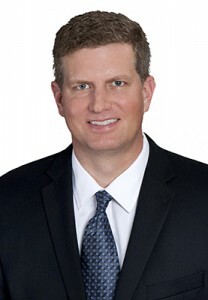 As a founding and Managing Principal of the Lee & Associates DFW office, Trey Fricke provides his clients with a broad based knowledge of regional distribution centers and all of the associated factors in selecting a distribution center such as taxes, transportation, incentives and other short/long term occupancy costs. In many cases, Trey facilitates portfolio wide real estate service on a national or global basis. 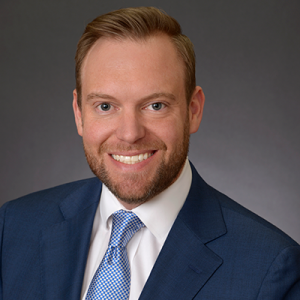 On a local basis, Trey specializes in the industrial market of the Southwest Region of the United States, with a special emphasis in submarkets of Dallas/Fort Worth. During his tenure in the real estate industry. Trey has represented national, international and locally based companies in securing over 36 million square feet of industrial space consisting of over 500 transactions. Trey has a specialty focus on industrial and office/technology leasing and sales in all areas central to Dallas/Fort Worth. It is in these markets, encompassing over 150,000,000 SF of industrial space, that a great diversity of companies are located due to the close proximity to Dallas/Fort Worth International Airport, and the central locations to Dallas, Fort Worth and the east and west coasts. 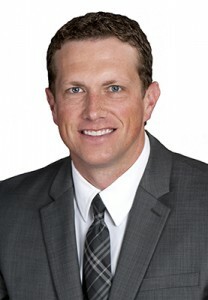 Trey began his commercial real estate career after three years of multi-restaurant management with Sheraton Hotels in Steamboat Springs, Colorado. Over the past twelve years, he has built numerous Fortune 500 clients that he has continued to do repeat and multi-location transactions. Mr. Fricke has a Bachelor of Science form Tarleton State University. 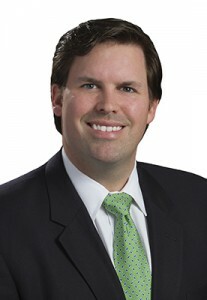 Brett joined the Lee & Associates office in Atlanta in 2010. He has 29 years of experience in Industrial Real Estate Brokerage; Site Selection; Location Consulting; and coordinating Build-to Suits. He is accomplished in both Landlord Agency and Tenant Representation on a national basis. He has represented major industrial corporations with their real estate projects for both manufacturing and distribution operations. He has concluded real estate transactions and site selection/consulting projects in 30 states. Site Selection/Consulting has included: operating cost analyses and incentive negotiations at the state, county, and local level. Incentives have included various tax abatements, creative financing deal structures and a wide array of infrastructure improvements. Brett has concluded Sales/Leases with a value in excess of $480 million and transactions totaling over 26 million square feet and 1,800 acres. Reid Bassinger, a Principal with Lee & Associates DFW, focuses on representing customers with their warehousing and distribution needs on a local and national basis. For many cases, Reid works with his clients to help implement transaction management strategies and processes to help align their portfolio of properties while maximizing occupancy cost savings. On a local scale, Reid specializes in the industrial markets of the Southern Region of the United States with his core focus being the Dallas/Fort Worth market. Throughout his career, Reid has represented clients in leasing, securing or disposing of over 30 million square feet of industrial space. 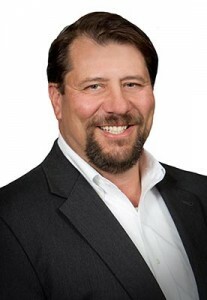 Ron Webert is a Principal and a founding member of Lee & Associates Denver. He is an industrial specialist who has been working in the Denver marketplace since 1997. He started his career at Grubb & Ellis, where he was a consistent top producer, focusing on the sale and leasing of industrial product. In 2005 he was awarded the SIOR Industrial Investment of the Year award, for a 125,000 SF sale leaseback transaction involving Applied Films Corporation and First Industrial Realty Trust. 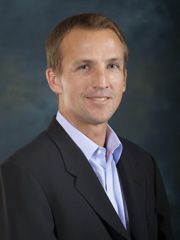 In 2007, and after a 10 year stint with Grubb, he joined Bitzer Real Estate Partners to lead their industrial division. In 2010 Ron closed the largest user sale transaction in the market, representing Albertsons in the disposition of their 386,153 SF regional distribution center. Over the past 5 years, Ron has completed in excess of $150 million in transactions which include the sale or lease of approximately 10,000,000 square feet of space. 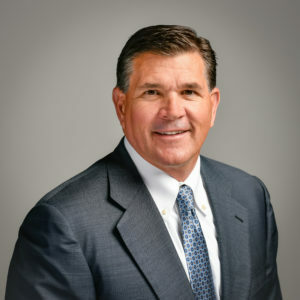 David Bales is a Principal in the Los Angeles – Long Beach office of Lee & Associates Commercial Real Estate Services with an expertise in Logistics and Transportation Real Estate, as well as Industrial Brokerage, Development and Corporate Real Estate Services. David and his wife, Sharon reside in Manhattan Beach. David grew up in Chicago but met Sharon while traveling in Europe. Their daughter, Emelia, was born in May of 2008 and Camiella was born in January 2011. David enjoys golf, history, and playing soccer with his daughters. He also supports numerous local charities. After spending some time in the film business working for Warner Bros., David joined The Klabin Company in 2002 and quickly focused on Logistics Users and Property Development. David joined Lee & Associates as a Principal and Shareholder bringing his expertise with Supply Chain Clients to co-chair Lee & Associates Los Angeles -Long Beach, Inc.’s Logistics Group as well as a Founding Board Member of the Lee Logistics National Group. David has also been named CoStar Power Broker for Top Industrial Leasing Brokers for four years: 2014, 2013, 2010, and 2009. David is a Graduate of the University of Illinois School of Business with a minor in Film. David is a member of the American Industrial Real Estate Association (AIR), a Member, and former President of the Harbor Transportation Club (HTC) as well as a member of the Council of Supply Chain Management Professionals (CSCMP). For more than 32 years, Jon G. Savoy, CCIM, SIOR has diligently served a diverse group of clients. Due to his in-depth market knowledge and innovative options, Jon has consistently created winning real estate opportunities. 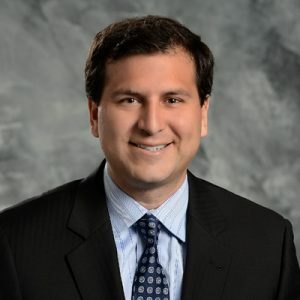 Today, he specializes primarily in the industrial real estate markets of Farmington Hills, Novi, Wixom, Lyon Tonwship, Commerce Township and Livingston County. In his extensive career, Jon has managed more than 1,600 industrial real estate transactions. He has been involved in the land acquisition, design and development of over 250 build-to-suit facilities and speculative buildings. 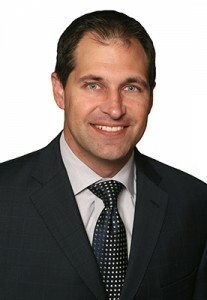 Widely recognized today as one of the top producers in the commercial real estate business, Jon began his career at a small brokerage company in Michigan and then moved successively to larger, more competitive national firms, including Colliers International, Signature Associates and Grubb & Ellis, where he served for over five years as the Senior Vice President, Director of Industrial Services. Jon has used his talent for understanding markets, brokering transactions and satisfying customers to build a strong sales track record. Jon has been formally recognized for his achievments many times by his industry peers. 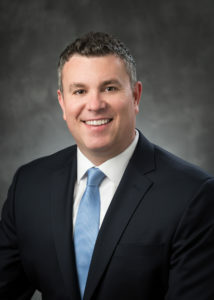 The Michigan CCIM chapter named him “Michigan Broker of the Year.” He was honored as “Broker of the Year” by Oakland County, Michigan, as “Power Broker” by the CoStar Group, and as “Most Valuable Broker in Detroit,” by First Industrial Realty Trust. Midwest Real Estate News has honored Jon as one of its “Top Forty Over Forty” for excellence in commercial real estate and has inducted him into the Commercial Real Estate Hall of Fame as one of the top commercial real estate professionals in the Midwest. 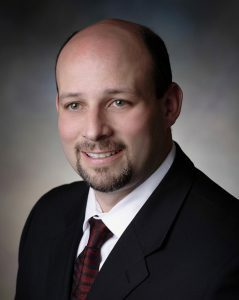 Achieving another milestone in his career, Jon opened the Lee & Associates of Michigan office in May 2005. Since then he has served as a mentor and motivator for the professional brokers who have joined his team. Jon wrote and published Your Lee & Associates Advantage, a comprehensive sales and customer-management system which has been adopted nationally throughout the Lee & Associates organization. Mr. Van Buskirk is a founding Principal of Lee & Associates of Eastern Pennsylvania LLC (LAEP), where he also serves as the Broker of Record, Research Chair and a member of the firms Board of Managers. His transactional focus includes industrial landlord and tenant representation work along with site selection and investor acquisitions. 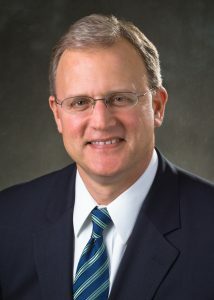 Mr. Van Buskirk graduated from Franklin & Marshall College with a Bachelor of Arts in Government in 1987. A year later he began his real estate career at NAI Commercial-Industrial Realty (NAI CIR), where he co-founded the Industrial Properties Group at NAI CIR, a dedicated industrial team that was among the first specialized practices in the Central Pennsylvania market. 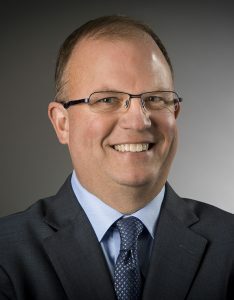 In keeping with his commitment to the industrial asset class, John earned certificates in both Supply Chain Leadership and Management from the Smeal School of Business at Pennsylvania State University in 2006. Prior to leaving NAI CIR, he served as a Mid-Atlantic Director of NAI Logistics Group. In 2009, Mr. Van Buskirk joined Jones Lang LaSalle (JLL) as one of two leaders tasked with creating a dedicated industrial team for the Philadelphia market, with service capabilities including tenant representation, agency leasing and sales, site selection, and investment sales. 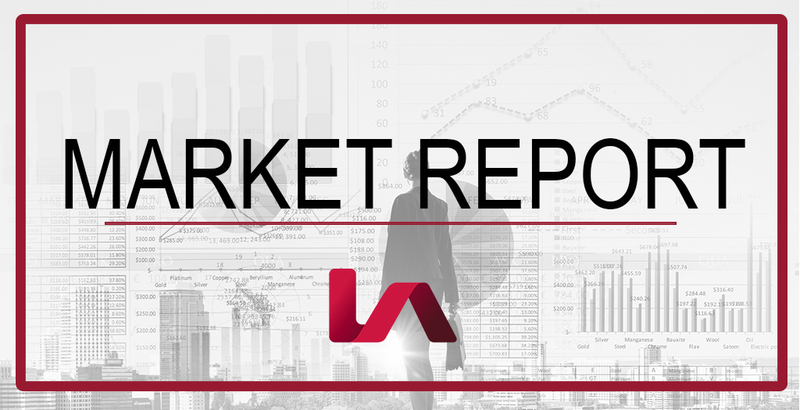 By 2014, the team included nine brokers along with dedicated administrative and research support, and was generally recognized as one of the leading industrial teams in the market. 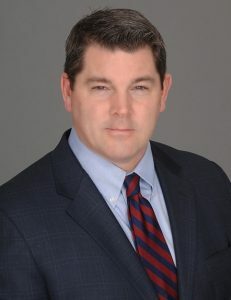 Following his departure from JLL in 2014, John completed the coursework and testing necessary to secure licensing as a Real Estate Broker in the Commonwealth of Pennsylvania, and currently stands as Broker of Record for Lee & Associates of Eastern Pennsylvania LLC as well as Black Dog Realty Group LLC, a small residential brokerage firm he founded. As a transactor Mr. Van Buskirk has executed large scale leasing and investment sale assignments on behalf of many of the nations leading multi-market landlords, including among others Prologis, Liberty Property Trust, AEW, IndCor, Hillwood, Industrial Income Trust, First Industrial, Industrial Realty Group, and USAA. He has also performed mission critical work on behalf of numerous corporations as well and counts Ahold USA, Ollies Bargain Outlets, SC Johnson, Procter & Gamble, Wal-Mart Stores, Nordstroms, and Norfolk Southern among his past and cur-rent clients. He has been recognized repeatedly as a top producer by JLL, NAI CIR and CoStar at both local and national levels. Mr. Van Buskirk is a member of the Society of Industrial and Office Realtors (SIOR), where he has held various Philadelphia Chapter leadership positions including Chapter President. As a founding member and Principal of the Columbus Lee office, Mike is responsible for assisting clients in all aspects of real estate brokerage and development including site qualification, acquisition, zoning and governmental approvals, financing, third party brokerage, and coordination of preliminary design and construction cost estimating. Mikes extensive experience in Tenant and Buyer Representation provides clients with a wide range of value added services including lease/own evaluations, strategic planning, Build To Suit consulting, real estate due diligence and negotiation, demographic and logistical studies, and valuation assessments. Comprehensive knowledge and use of economic incentives including Community Reinvestment Areas, Foreign Trade and Enterprise Zones also greatly benefit his clients bottom line. Governmental and development department relationships at the state and local levels provide instant access to the economic development programs of greatest benefit to his clients. Mikes guiding principle: Minimize client occupancy costs, Maximize project value. Mike has over twenty years of experience in commercial/industrial real estate brokerage, development, and construction. His clientele include developers, institutional property owners, investors, owner/occupants, and tenants. Mike takes tremendous pride in providing his clients with an unsurpassed work ethic and passion for the real estate industry, delivering the highest possible levels of white glove customer service and outstanding representation. Mike has consistently been a top producer, being involved in real estate transactions totaling over $500 million, focusing primarily on commercial and industrial properties, supply chains/logistics, and development sites. He has also been instrumental in the development, financing, sale, and leasing of the Gateway Business Park, a 343 acre, tax abated commercial and industrial business park in southern Columbus. Jeff is a practicing commercial real estate broker in the Chicago Market with over 16 years experience. In July of 2002, he and nine other industrial brokers from four different companies formed Lee & Associates of Illinois. Prior to forming Lee, he was with Colliers, Bennett and Kahnweiler for six years, attaining the position of Senior Associate. Jeff lives in the western suburb of Glen Ellyn. Jeff is married and has three sons. Jeff is very actively involved in coaching sports for his three sons. 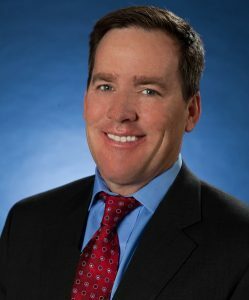 In 2001, Jeff received the Frank J. Mahoney Award for Excellence in Sales Production from the Association of Industrial Real Estate Brokers (AIRE), the only award given out annually by AIRE (Chicago’s largest industrial real estate group) to a young broker who gives back to the real estate community and has the highest sales production level among his peers. Jeff graduated from Marquette University (Milwaukee, WI) with a B.S. in Business Administration and a concentration in Marketing. Jeff is affiliated with a number of industry organizations including; SIOR, AIRE, WERC, and the I-39 Corridor Association. He is a member of the Itasca Business Council and the Marquette University Club of Chicago. Jeff is a founding member of Lee & Associates Supply Chain Consulting Group. Mr. Koss is a licensed Arizona Real Estate Broker and a graduate of Arizona State University. He is an active member of SIOR Arizona Chapter. Mr. Koss specializes in the representation of landlords and tenants specializing in the leasing and sales of Industrial properties in the Metropolitan Phoenix real estate market. Mr. Koss’ extensive knowledge of the Metropolitan Phoenix market is complemented by thorough analysis and marketing skills involving tenant relocation, tenant expansion, lease negotiations, market analysis and property marketing. These qualities, along with a strong work ethic, have enabled him to become a respected presence within the market. Ivy, Eloy – 14,081,040 sq. ft.
Lockhead Martin, Goodyear – 1,052,000 sq. ft.
Ivy Trust, Germann – 2,218,946 sq. ft.
Carlson, Chandler – 2,178,000 sq. ft.
Orsett Acquisitions – 2,308,680 sq. ft.
Mr. Koss has completed over 632 transactions totaling over 73 million square feet valued in excess of $611 million. Rick Marchisio is Co-Founder and President & Principal of Lee & Associates New Jersey offices. As a New Jersey industrial real estate professional with over 23 years of experience, Rick has guided clients through all aspects of the acquisition and disposition of industrial property throughout New Jersey. Recognizing a void, and hence a need need for a full service commercial real estate services provider serving the needs of middle and upper middle market corporations and property owners in New Jersey was the catalyst for joining forces with Co-founder Brian Lynch to open Lee & Associates in New Jersey in early 2009. 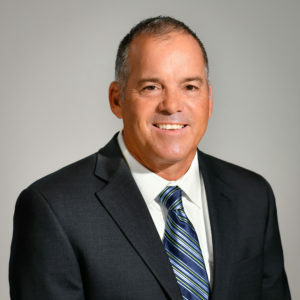 Prior to opening the Lee & Associates New Jersey office, Rick served as Executive Vice President and Managing Director of Grubb & Ellis Company New Jersey. His tenure as both a broker and as Managing Director with Grubb & Ellis stems back to early 1996. During the later half of this period of time he was responsible for all the company’s service lines including brokerage, property management, consulting and project and construction management. Before joining Grubb & Ellis Company Rick was an industrial broker with Bussel Realty Corporation in Edison New Jersey, a local industrial firm serving the middle market. Having spent half his career in the world of “boutique” local firms and the later part of his career with a national full service provider has afforded Rick the opportunity to view the world of commercial real estate from varied vantage points; a trait his customers and clients alike find beneficial. Rick holds a Bachelor’s Degree from Carnegie Mellon University in Pittsburgh, Pennsylvania. As an active real estate professional in New Jersey Rick is frequently seen as a panelist or moderator at real estate and business conferences statewide. 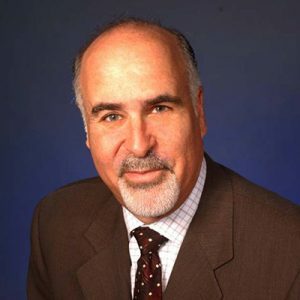 He is on the Advisory Board of Real Estate New Jersey magazine, and is regularly quoted in real estate trade publications, newspapers and business magazines. In addition to numerous affiliations, Rick is Vice President of Associate Affairs and a board member of New Jersey NAIOP, one of NAIOP’s most influential and active Chapters nationwide. During his time at Grubb & Ellis New Jersey the New Jersey offices were awarded the designation of Top Producing Office, both in 2001 and again in 2005. In 2005 Rick was recognized as Grubb & Ellis’ Managing Director of the Year. Rick is active with the March of Dimes and The American Heart Association. Mr. Knowles is a founding Principal of Lee & Associates of Eastern Pennsylvania LLC (LAEP), where he also serves as the Marketing and Recruitment Chair and a member of the firms Board of Managers. His transactional focus includes site selection, tenant representation and the disposition of industrial real estate for clients on a national level with a concentration throughout the Pennsylvania, New Jersey, and Delaware markets. 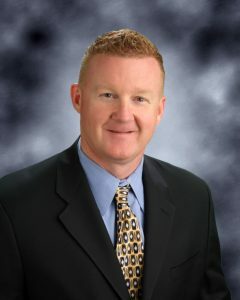 Mr. Knowles is an alumnus of the Marine Military Academy in Harlingen, Texas and received a Bachelor of Science degree in Institutional Management from West Virginia University. Mr. Knowles began his real estate career at CB Richard Ellis and quickly became Senior Vice President of Industrial Services serving Central and Southern New Jersey. Brian then joined the Staubach Company as a Principal to lead their Northeast Industrial Services Practice. In 2008, the Staubach Company merged with Jones Lang LaSalle (JLL). At JLL, Brian was a lead member of the Industrial Services Group and member of JLLs Logistics & Supply Chain Solutions team. Knowles co-built the practice from a zero market share to nine broker plus support team to a market leading position. Mr. Knowles provides industrial clients with expertise and best practices in evaluating real estate portfolios and supply chain initiatives to uncover cost saving opportunities. Brian has completed in excess of 30 million square feet of transactions for his clients and sold over 3,000 acres of industrial land. Additionally, he has represented many companies on their consolidation projects, build-to-suit initiatives, site selection and disposition projects throughout the local and many other US/global markets. Some of Mr. Knowles clients include Kelloggs, Mannington Mills, Proctor & Gamble, Wal-Mart, Burlington Coat Factory, and Destination Maternity. Over the course of his career, Mr. Knowles has been recognized multiple times as a CoStar Power Broker, has been named the Industrial Broker of the Year by Liberty Property Trust and recently recognized by the Philadelphia Business Journal as Philadelphias top regional Industrial broker. While at JLL, Mr. Knowles was a Top 10 national producer and recognized multiple times as Top Gun and Top Achiever, placing his performance within the top 1%-10% of the company. Mr. Knowles also served as a national board member for JLLs Industrial Services Group. Mr. Knowles is accredited with a Master of Corporate Real Estate (MCR) designation and a Certified Commercial Investment Member, (CCIM) designation. Mr. Knowles is an active member of the Industrial Asset Management Council (IAMC). Mr. Knowles is also a member of the Council of Supply Chain Management Professionals (CSCMP) and is the former Chairman of the Gloucester County, NJ Chamber of Commerce. 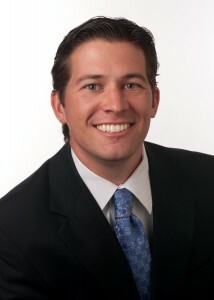 Brian True comes to Lee & Associates of Michigan with 12 years of commercial real estate experience. Focusing on the Detroit Metro area, Brian utilizes his diverse background in investigative research to aid his clients in identifying and analyzing various opportunities. His extensive background in tenant representation marks Brian’s ability to find the best possible real estate solutions for his clients. Brian holds a Bachelor of Science Degree from the Rochester Institute of Technology in Rochester, New York. Additionally, he has earned the industry designation CCIM (Certified Commercial Investment Member). Previously, Brian was a Vice President with the Tenant Representation Group for Jones Lang LaSalle. There, he assisted clients on a variety of corporate real estate issues including lease restructuring, cost/benefit analysis, confidential site selection, facility disposition and transaction negotiation. 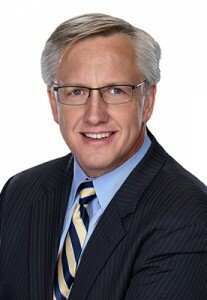 As a founding member and Principal of the Columbus Lee office, Dax is responsible for assisting clients in all aspects of real estate brokerage and development including site qualification, acquisition, zoning and governmental approvals, financing, third party brokerage, and coordination of preliminary design and construction cost estimating. Dax provides property owners and investors with comprehensive sale, leasing, tenant improvement and marketing services for office and industrial properties as well as vacant land. Similarly, he represents clients seeking land or vacant space by identifying properties that meet their specific needs and negotiating the purchase or lease agreements on their behalf. He assists in pricing assets, assessing individual and institutional investments, investigating financing options, structuring joint ventures, and marketing single assets and portfolios. Dax has over 21 years of finance, real estate and development experience and is responsible for over $265 million in completed brokerage transactions. He has a Bachelor of Business Administration degree, majoring in Finance and Real Estate, from Southern Methodist University in Dallas, Texas. 224,600 SF industrial lease – MBM Co.
100,127 SF industrial lease – Yazaki Corp.
Michael Sutter has nine years of real estate experience in which his primary area of focus is in tenant and landlord representation throughout Atlanta and the Southeast. Mr. Sutter works diligently with his clients to implement real estate strategies to create cost effective savings to increase the bottom line. He has been instrumental in the successful negotiations of multiple Fortune 500 companies, real estate transactions. He currently represents over 2 million square feet of industrial product. 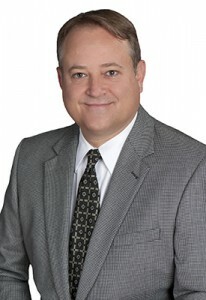 As a founding member and Principal of the Columbus Lee office, Todd is responsible for assisting clients in all aspects of real estate brokerage and development including site qualification, acquisition, zoning and governmental approvals, financing, third party brokerage, and coordination of preliminary design and construction cost estimating. Todd has over 11 years of experience in marketing, commercial real estate brokerage and development. His clients include developers, property owners, investors, owner/users, and tenants/buyers. Whether his clients require landlord/seller representation, tenant/buyer representation, site due diligence, demographic analysis or asset disposition services, Todd uses his expertise to maximize asset performance, minimize occupancy costs, and increase his clients bottom line. Todd applies his experience in real estate, financial analysis, and target marketing to provide maximum exposure for his clients office, retail, and industrial properties as well as development sites. He was recently involved in the successful disposition of the 40 acre, multi-building, former Bob Evans Farms corporate campus in south Columbus. The disposition involved attracting multiple users and achieved an overall sales price above even optimistic projections, coupled with new ownership that is projected to increase overall employment in south Columbus. In 2014, Todd was recognized by Columbus Business First as one of the People to Know in commercial real estate in Central Ohio. 240,000 SF multi-building corporate campus disposition – Bob Evans Farms, Inc.
32,000 SF industrial sale – Airgas, Inc.
Mr. Louer is a licensed Arizona Real Estate Broker and a graduate of The University of Arizona. He is an active member of SIOR, Arizona Chapter and has been a member since 2000. Mr. Louer specializes in the representation of landlords and tenants specializing in the leasing and sales of Industrial properties in the Metropolitan Phoenix real estate market. Mr. Louer’s extensive knowledge of the Metropolitan Phoenix market is complemented by thorough analysis and marketing skills involving tenant relocation, tenant expansion, lease negotiations, market analysis and property marketing. These qualities, along with a strong work ethic, have enabled him to become a respected presence within the market. Safelite Glass Corp, 4060 E. Frances St. – 282,019 sq. ft.
Safelite Glass Corp, 1350 Braselton Pkwy, GA – 357,500 sq. ft.
Niagara Bottling, LLC, 275 S. 67th Avenue – 251,668 sq. ft.
ProLogis, 4555 E. Elwood Street – 119,362 sq. ft.
Santa Ana #164, 24416 N. 19th Avenue – 64,082 sq. ft.
Mr. Louer has completed over 630 transactions totaling over 11.2 million square feet valued in excess of $450 million. Crista Bartolomeo is the newest addition to the team of Rick Marchisio and Terry Armstrong at Lee & Associates – New Jersey. 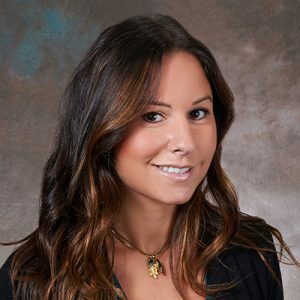 Ms. Bartolomeo holds a Bachelor of Arts in Communications from William Paterson University, and has also earned a degree in Professional Sales from the University’s Russ Berrie Institute. Crista’s unique educational background provides an added dimension to the team, and her presence is an invaluable contribution to the enterprise. Her interpersonal skills combined with her outstanding work ethic and “go getter” approach make her an excellent addition. As a team member, Crista’s primary focus is new business generation. She is also actively involved in client relations and customer service. Her daily responsibilities include door-to-door canvassing, phone solicitation and the implementation of a variety of strategic, targeted business generation techniques, including prospect tracking by SIC and NAICS codes, employee count, sales volume and industry trends. Crista is also responsible for the team’s client reporting processes. Chris Garcia, Principal with Lee & Associates, has been a leader in the commercial and industrial industry for over 12 years. With his strong background and vast knowledge of the Twin Cities market place, Chris has grown an impressive portfolio of reputable clients. Chris graduated from New Mexico State University in 2001 with a Bachelor of Business Administration. He began his career at Northmarq (now Cushman & Wakefield) in 2002, where he was a lead leasing agent on a 750,000 square foot portfolio owned by Great Point Investors LLC. Chris left Northmarq in 2010 to establish his own brokerage firm, CGC Commercial. CGC specialized in industrial tenant representation, and through Chris’s marketing efforts the company grew to become a key player in the local and regional industrial brokerage market. Chris built CGC, now Lee & Associates, to be a successful business with a solid foundation. As a current member of the Plymouth Rotary Club, and the Latino Economic Development Center, Chris remains active in the community. He also sits on the board for the Midwest Minority Supplier Diversity Council. 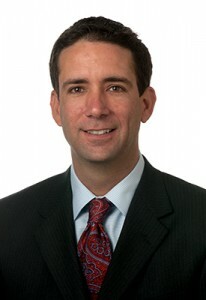 Jeff Smith is a Senior Vice President and Shareholder with Lee & Associates. Jeff specializes in providing local and national firms with the real estate advisory services necessary in the acquisition of warehouse/distribution and manufacturing facilities. His focus is to provide a full service approach to each assignment tailored around the specific needs, objectives and resources of each client. In addition, he has been involved in and has extensive experience in facility and property dispositions. 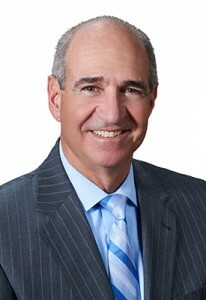 Jeff has earned a reputation as market leader in the Southern California Real Estate Community. As a consistent Top Producer, Jeff has been among the Top Five Percent (5%) company wide since joining the Ontario office of Lee & Associates and the Top One Percent (1%) for the past 10 years. Jeff has advised for and been involved in over 27 million square feet of leasing and sale transactions, in addition to over 1,300 acres in land sale transactions. Jim specializes in the sale and leasing of industrial/commercial projects, representing both institutional and local owners/users. 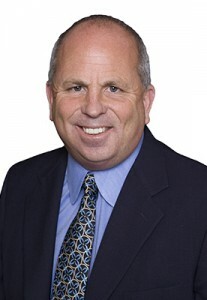 Jim has been an industrial real estate broker in the Central Valley market since 1996. In July 2000 he achieved Senior Shareholder status. Jeffrey A. Buckler, has been involved in the commercial real estate industry for over 19 years, joining Lee & Associates in 2006. With multiple years of experience in the acquisition, disposition and leasing of facilities and land in the Southeast Michigan market, Jeff currently lends his expertise to the management of Michigan’s Lee & Associates National Logistic Supply Chain Group. 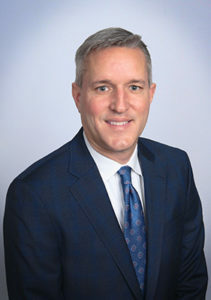 Beginning his real estate career at Skyline Properties, Jeff later spent four years with Cushman & Wakefield and three years with Grubb & Ellis Company, focusing on the industrial and high-tech markets of Oakland County’s I-75 corridor. As a result of his performance, Jeff has earned awards such as Rookie of the Year and Industrial Broker of the Year. He was also honored in Midwest Real Estate News’ 2007 “Top Forty Over 40” for excellence in commercial real estate. Jeffrey M. Miller, is one of New Jersey’s most innovative and productive brokers. His 30 years as a broker in northern New Jersey have yielded hundreds of major deals – over 14 million square feet – usually involving the largest buildings in Bergen, Hudson, Passaic, Essex, Morris and Middlesex Counties. Miller has represented many clients year after year such as Philip Morris USA, now Altria, Dreyer’s/Edy’s Grand Ice Cream, Russ Berrie & Company, ProLogis, AMB, Waitex International, Ltd. and Melard Manufacturing/Bath Unlimited, a Masco Co., in the sale of their 331,000 square foot plant in Passaic and their subsequent site selection and leasing of 300,000 square feet in Randolph for which he earned the Morris County Development Group’s 2003 “Deal of the Year” award. Miller, who is particularly adept at unlocking hidden value and re-positioning assets for his Northern New Jersey clients, got his start in business picking hit songs as program director for WCVF-FM radio and then as television editor for Channel 5, which was then WNEW-TV in New York City. He is still picking hits for his clients today. Lee & Associates is a full-service real estate brokerage firm providing industrial, office, retail and investment opportunities throughout the Tri-State Region. Over the past 12 months, Jeffrey has successfully closed over 1,200,000 square feet of deals in northern New Jersey with companies seeking to improve their lot. Miller, who hails from Hewlett, New York, attended SUNY in Fredonia and lives in Tenafly, New Jersey with his wife, Ruth Sarfaty, and two teenagers. In 2008 he founded Quadrillion Solar Partners, LLC. He coaches club soccer and serves on the Tenafly Environmental Commission. Billy joined Northwest Lee & Associates Commercial Real Estate Services in 2016, after spending 15 years at NAI Puget Sound Properties. With his business partner Christian Mattson (since 2007), Billy has specialized in the industrial real estate sector with a particular focus on the South King and Pierce County markets. Billy’s success in negotiating lease and sales transactions, coupled with his reputation for excellence, has helped him develop an expansive and loyal client base. Together, Billy and Christian have transacted business across the country, including leases and acquisitions for a long-time manufacturing client totaling nearly $40 Million in recent years. The partnership works with national, regional, and local clients, including tenant representation, landlord representation and investment sales. Clients include James Hardie Building Products, Fastenal Company, Pacific Plumbing Supply, Prologis, Invesco, Fred Tebb & Sons, and Lincoln Moving & Storage. Billy resides in Seattle with his wife, Stephanie, and sons Liam and Hunter. He is an avid golfer, loves winter sports, and enjoys traveling. Christian, together with his business partner, Billy Moultrie (since 2007), has specialized in industrial acquisition, sales, leasing and tenant representation in the South King and Pierce County markets with an emphasis is on the Kent Valley, Port of Tacoma and surrounding industrial areas. Christian and Billy work with clients on all scales from smaller local companies to large multi-national firms. They have also successfully negotiated several transactions in various cities across the country on behalf of clients, including recent leases and acquisitions totaling nearly $40 million for a large manufacturing company. The partnership is quickly becoming recognized for their creativity and ability to negotiate complex deals. Prior to joining Northwest Lee & Associates, Christian was a Vice President with NAI Puget Sound Properties, with whom he spent nine years. Before that, he worked with a small boutique firm, Schuler Properties frequently negotiating on behalf of his clients with the Port of Tacoma. Here, he also honed his skills in development, in addition to acquisition and disposition of properties. Christian’s background includes time working in Logistics from 2002 to 2004, where he gained valuable experience with planning, warehousing, product flow, and organizing cargo movement from Asia and Europe to the United States. This experience has proven valuable to his real estate clients in determining which facilities best meet their needs or which tenants are best suited for a site. John is an investment/industrial property specialist with extensive experience creating and implementing strategic real estate programs for clients. As a market expert for the past 25 years, he specializes in assisting investors, owners, tenants, developers and institutions in sales, leasing and build-to-suit of investment industrial projects and vacant land. John is based in Chicago although much of his corporate work involves regional and national portfolio assignments. In 2002, John co-founded Lee & Associates of Illinois and together with his partners has built a 50 person firm providing full service support to clients. Prior to starting Lee, John had been with CB Richard for 14 years. 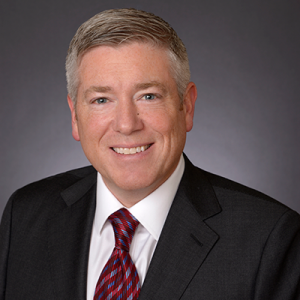 John was named one of Chicago’s Power Brokers for leasing industry activity by the CoStar Group. John graduated with honors from Indiana University with a degree in Finance and Real Estate. 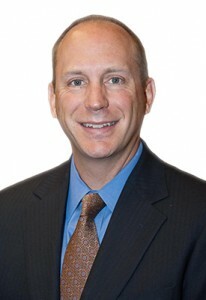 A licensed broker in the States of Illinois, Indiana, and Wisconsin, he is an active member of the Association of Industrial Real Estate Brokers (AIRE), has a Society Of Industrial And Office Realtors (SIOR) and Certified Commercial Investment Member (CCIM) designation, and is LEED AP BD+C Certified. John has also recently completed continuing education classes at The University of Chicago Booth School of Business. Mr. Hagglund is founding principal of Lee & Associates first Northern California office (Pleasanton), 1993. In April 2006, Mr. Hagglund spearheaded the opening of the Lee & Associates Oakland office as founding principal and remains managing principal of the Oakland office today. Lee & Associates has fifty four (54) offices and over 800 agents nationwide.